Create an array of makeup looks using the Real Techniques Eye Shade + Blend Brush Set; a coveted duo that work harmoniously to deliver exceptional eyeshadow results. Finally packaged together, the set is host to everything you need to complete an expert eye look. 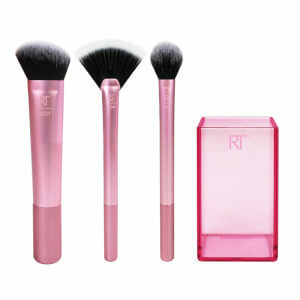 Each versatile brush is able to perform an array of tasks, with either cream or powder product. Expect professional looking results. 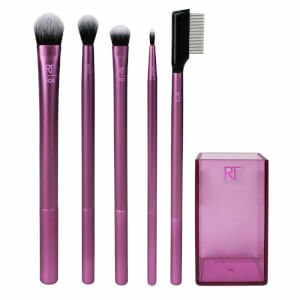 Achieve flawless eyeshadow application with the Base Shadow Brush; a sleek purple brush designed to apply colour to the entire lid. 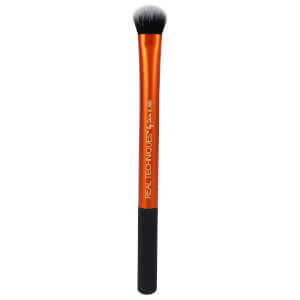 Boasting finely tapered, UltraPlush™ bristles, the makeup brush is ideal for sweeping cream and powdered eyeshadows across the lid, as well as for building colour. Add depth to the eye with the Deluxe Crease Brush; a sleek purple brush created for blending shadows in the crease of the eyelid. 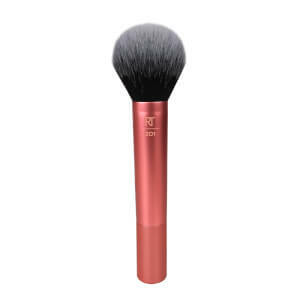 Crafted with a soft, oversized brush head, the effective tool effortlessly blends cream and powdered eyeshadows for a seamless, professional looking finish. Não há melhor preço para comprar estes pincéis do que aqui na lookfantastic! Sou fã!